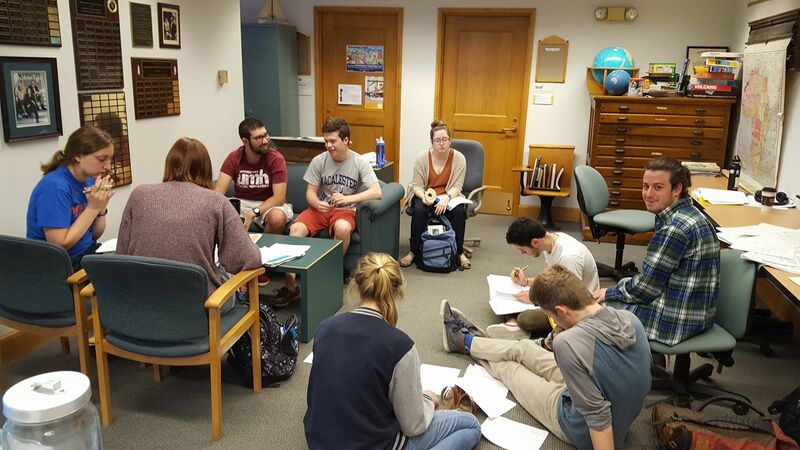 Each academic year, several dozen students provide valuable assistance for the Geography Department’s faculty and staff. Three types of job opportunities are available in the Department. For information on specific job requirements, current openings, and/or to apply for a position in Geography, please see the Student Employment website. Perform general housekeeping tasks in the office area. Reinforcing Institution-wide Goals for Student Learning; Thinking Critically and Analyze Effectively; Communicate Effectively; and Make Informed Choices and Accept Responsibility. digitally capture department events – speakers, field studies, career panels, etc. assisting the faculty member in course related research and the preparation of course materials. Reinforcing Institution-wide Goals for Student Learning; Think Critically and Analyze Effectively; Communicate Effectively; Demonstrate Intercultural Knowledge and Competence; and Make Informed Choices and Accept Responsibility. Working through all lecture exercises and laboratory assignments that will be taught during semester. Reading all materials assigned during the semester. Supervising assigned laboratory periods during both day and evening. Assisting students with questions about assignments and projects. Responsible for printing student map assignments. Preparing materials before class for use in lab, e.g. projector, maps, GPS units, etc. Responsible for straightening up lab (e.g. chairs, etc.) and locking up room at the end of the day. Completing GIS and mapping projects for Macalester faculty and outside community organizations. The following forms are for current GEOGRAPHY work-study students ONLY.